The weather is breaking, and construction season is gearing up. As a general contractor, you’ve just landed that big project and now it’s time to get down to work. You may be good at the construction process, but there are some specialty contractors that are necessary to get the job done. So what are some things to consider when choosing a subcontractor for your project? Does a Subcontractor Perform Better Than Your Own Crews? You know yourself, the more you perform a certain task, the better you are at it. For example, your crew may perform masonry once in a while, but the job you just landed calls for extensive and intricate masonry work. Understanding the scope and project requirements is vital before you can determine the need for a subcontractor. A subcontractor is needed when the work falls outside of your expertise area or when your resources are already assigned to a different project, limiting the capabilities to execute the work using internal resources. If the work involves federal monies, you may also be looking for minority subcontractors. Here are some things to consider. It is important to understand this component prior to execution in order to get the proper bonding and insurance coverage for you and your subcontractor. 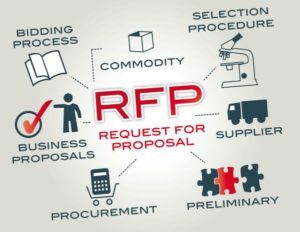 When putting out the RFP, these factors should be considered. A subcontractor must be able to provide this information as an answer to your RFP. One of the most important factors when qualifying subcontractors is their safety performance. Be sure to review the EMR rates, OSHA recordable, time loss due to accidents/incidents. If this is a new subcontractor, ask for their safety plan and program and be sure to review it so that it aligns with your safety expectations. A financially solid subcontractor may be determined by their bonding capabilities and letters from financial institutions that will express their financial stability. Request and review the required licenses and insurance. As part of an RFP request to be considered for a project, a subcontractor should provide basic information along with resumes highlighting the relevant experience, senior leadership, and personnel who will be in charge of the project. This will help to ensure enough resources are available for your project. As a subcontractor, there are often specialty tools and equipment that are required for the job. The subcontractor must bring said equipment to the job site. Be clear to specify that in your RFP. Depending on the type of subcontractor requested, transportation permits and costs are subcontractor’s items, so they should be taking care of those items. A detailed plan of action should be requested to include a narrative on how they will manage the project and how they handle unforeseen conditions. With the rapid pace of construction in Pittsburgh’s economy, if your company is wanting to stay abreast of the growth in the region, it’s important to have a grasp on a subcontractor’s project experience. In an interview process, you may want to ask about concurrent projects and how those projects could affect the resources devoted to your project. A review of similar projects must describe scope, schedule, budget, man-hours worked and any special consideration that was part of the project. Don’t fall short at this step. It is your responsibility to call and verify references provided before awarding the subcontractor a construction contract. Using the listed names and projects included in the RFP, call or ask specific details about the subcontractor performance on a particular project. The lowest price is not always the best option. There are other factors to consider. Ask for details on payment terms and avoid using subcontractors asking for large amounts of down payment, that might be a red flag. Discount terms and payment terms must be discussed and agreed especially final payment and release of waivers. When federal monies are involved, often larger companies are looking to partner for specialty contracts with minority companies. This partnership allows for smaller companies to grow and larger companies to compete for work with a diverse group of contractors. McKibbin consulting has relationships with a number of specialty and minority-owned contractors, as well as property managers and developers. Within her network, Jill offers opportunity for general contractors to partner with minority subcontractors allowing both to benefit. To learn more contact Jill at 412-498-3572 or email jmckibbin@mckibbinconsulting.com. Jill is a tenacious business development person. Her ability to find leads, contacts and work is incredible. I am continuously amazed at her ability to make things happen. Jill McKibbin is a very well connected, polished and confident resource in the real estate industry. She prides herself on offering top notch services to all of her clients and friends. She has a command of the real estate business and the players. I highly recommend that you avail yourself of her service. Lisa Streiff, TUCKER ARENSBERG, P.C. Jill maintains a high level of professionalism through her dedication and determination. Her knowledge and experience in the architecture, engineering and construction industry provides a positive advantage to her customers and clientele. We have worked with Jill for the past number of months. Her vast network of people and knowledge of the construction industry is key to the number of appointments she has set for Eisler Landscapes. The added bonus of her monthly and quarterly networking meetings allow Eisler Landscapes and me to further develop these relationships and meet new referral sources. I would recommend Jill McKibbin with McKibbin Consulting for your business development needs. Jill McKibbin has a rare talent for networking. Her energy and social ability allow her to make connections and put people together in win-win situations that others could easily overlook. I enjoy watching her get a charge out of putting people and firms together. Plus she has the tenacity to follow up and make sure that the connection was made. We should all be as enthused doing what we love to do. Jill McKibbin is dynamic and works very hard on our behalf. She is willing to focus her efforts to meet Huckestein’s particular needs and tailors that approach to fit the needs of each of her clients. There is excellent follow through for meeting setup and she pushes us to maintain and execute our part in the sales process. These efforts have resulted in helping us secure our largest maintenance contract. I would recommend Jill McKibbin with McKibbin Consulting to help your grow your business. Jill is the go to person for linking people and business together. If you have never worked with her it is just amazing how she never stops thinking of how to network and partner people together. She’s a person you want on your side helping you day in and day out. Although she seems to work nonstop she’s a very approachable down to earth people person as well. I would recommend her to anyone looking to expand your networking capabilities.